Music is my love, but I’ll have a new little bundle of joy joining the family very shortly. This is will cause me to take a break from teaching for a little while. I will do my best to continue to post frequently, but may not be able to maintain the schedule I previously had. My current plan is to resume classes again in January 2013, but I may teach a class or two before if things go well. Please stay tuned for more scheduling details and contact me in the meantime with any questions or comments. We know that until research proves otherwise, the American Academy of Pediatrics strongly discourages television viewing for children ages two years old or younger, and encourages interactive play. For older children, the Academy advises no more than one to two hours per day of educational, nonviolent programs, which should be supervised by parents or other responsible adults in the home. There are definitely many waking hours with a child that do not involve the typical diaper change, feeding fun and nap/sleeping that still need to be filled with something. So what do you do with a child all day if you cannot watch TV? Listening to and making music is one of the things you can do to fill the empty space or time when you have a baby or toddler who isn’t talking/interacting with you much yet. There are many ways to achieve this too. You can bang on pots and pans in the kitchen, turn on the radio, sing them a song or just dance to the music in your head. One of my favorite things to do is to turn on Pandora. You can create your own stations, get exposure to songs you’ve never heard before and almost completely customize what kind of music plays. The best thing is this is a FREE solution. You can pay a subscription fee to avoid advertising and add many other options, but the free option has worked well for me so far. There are other options out there as well to help you. AOL Radio, the local library story time hour and Kindermusik with Dominique classes an all help you entertain your child with music and movement when you can’t watch TV. Contact me to find out when classes will resume so you can attend a no obligation FREE preview class with your child/children. As I was listening to All Things Considered on NPR today, a segment aired called “Why Music Matters” and featured a Seattle area performer named Vivi Perez. Ms. Perez found an organization in high school that made her more dedicated to her schoolwork. She realized that the things she was doing for the small record label transferred over to her school studies as well. One of the last things she mentioned in the interview was that her dad always told her school was important, but she didn’t listen to him. Music however, did get through to her. This is often the case. You talk your child’s head off telling them what they must do, but music shows them what they must do to succeed. If you want to be good or great at music, you must dedicate yourself to it. I discuss this in an earlier post, but most importantly the earlier a child has exposure to music; the better off they will be in the long run. I encour age you to check out one of my classes and see how your young child is affected by music. While just a baby or toddler, they are already getting so much out of the experience. 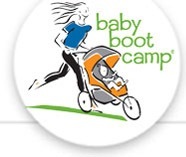 Contact me to preview a class for FREE and get ready to “get through” to your child. As I was reading my Frost School of Music Alumni Magazine I came across an interesting article titled Bandwidth. The article discusses music ensemble participation in schools. I personally agree that participation in music programs and basic music instruction is vital in school, but not all children are able to receive this benefit. Some of the lack of music instruction could be due to the No Child Left Behind act of 2001 which occasionally diverts arts funding for more standardized testing in reading and math. 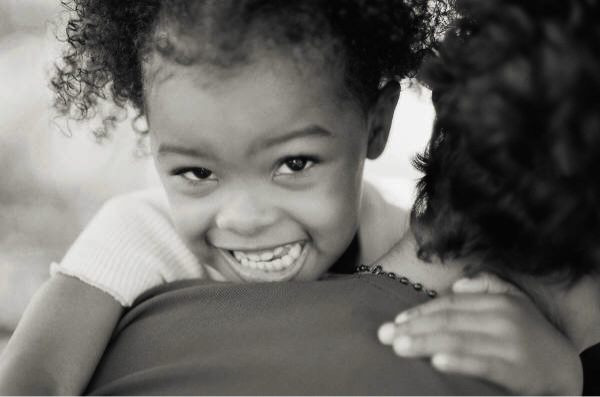 Other factors also play into this such as: socio-economic status, ethnicity, native language, and parents’ education. The class I have been teaching on a volunteer basis at Canoas Elementary in San Jose evidences this. 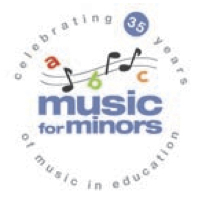 Through Music for Minors volunteer music educators expose students to music that might not otherwise have this opportunity in this school or on their own. Music in all forms benefits children and their development whether they wish to become the next Yo-Yo Ma or just enjoy music as a hobby. If you can provide this for your child, then you definitely should. Remember, it’s also important to support organizations that make it possible for other children to experience the gift of music with your time or financial contributions. Provide your child or sponsor another child’s early musical foundation in a Kindermusik with Dominique class. Adventures sessions begin this week. Contact me to preview a class for FREE or for additional information and details. Neurologist Dr. Oliver Sacks works with Alzheimer’s patients occasionally. Take a second to watch this video of an old man named Henry from Cobble Hill Health Center in Brooklyn, NY reacting to hearing music from his era. Isn’t it amazing how the man’s reaction changed after listening to familiar music? Alzheimer’s patients often have their good days and bad, but when you see the spark come back into that person, it can make your whole day or week. This man may not remember his daughter, but he does remember how the music made him feel. These memories also come flooding back each time a familiar favorite is played for people without Alzheimer’s. A recent study from researcher Brandon Ally, a School of Medicine assistant professor of neurology at Boston University suggests that music may also help people with dementia retain new information. The study suggests that it helps subjects focus and retain the information easier. The healthy elderly participants remembered just as much with or without the music. The thought is that those living with Alzheimer’s can use the music to remember important items and help them keep their independence a little longer. The interesting fact in both these stories though is the connection of music and learning. One can only infer that music is an important learning tool for all regardless of age. Many children hear music before they are even born. They learn many important items through song, such as their ABC’s and basic counting regardless of which culture they come from or what language those around them speak. I can attest that my daughter has picked up on simple items such as identifying body parts when she hears “Head, should, knees and toes.” We should foster the enjoyment of music in our children no matter what kind of music they have a preference for so that it can serve them well all throughout their lives. Kindermusik curriculum is backed by strong research and can help your child lay a good foundation for learning in school and in life. Come see the difference a class can make in your child’s life. Summer Adventures classes begin mid-May. 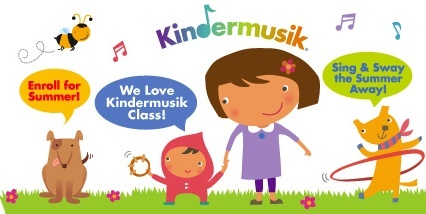 Contact me to preview a Kindermusik with Dominique class for Free. Being a parent is sometimes a stressful job. One of the best life skills I have is my knowledge of music. This was particularly handy when my newborn daughter came into the world. Singing was an instant way to soothe both my daughter and myself. Without it, I think most days I’d be lost. To conclude this four-part series on why music instruction is important to children, we’ll explore how music can help teach your child relaxation and self-soothing techniques. Have you ever sat next to that person on the plane, train, bus or even in the car that has their headphones plugged in and are blasting their favorite song? Or maybe you are the culprit. Well, we know it’s annoying to others, but it’s actually rather enjoyable for the person enjoying the music. Studies have shown that music can have a relaxing effect on people. It has positive applications in child labor, post-surgery recovery, reducing overall pain, lowering blood pressure and boosting immunity. This is mostly due to the tempo of the music that is played, not the genre. Most people think of classical music as being the best resource for relaxing music. To get in the mood, you can listen to whatever it is that you like; the tempo of the music is the more important factor. Playing a song can immediately change a person’s mood. It’s important that we teach our children relaxation techniques. Combine slow music playing with dimmed lights and general calmness and your child will begin to understand they need to take it down a notch. Do this throughout the day so that they can eventually do it for themselves when a situation gets little too stressful for them to handle. You will soon see that nap times, bed times and even future social stressors will be much less of a fight if we give our children the tools they need to clam themselves. Not sure you can create that calming environment in your home? In a Kindermusik with Dominique class you will learn how to create an environment conducive to relaxation and sample relaxing music pieces for your own use. Contact me to preview a class for FREE.